The very first day of 2019 offers a lot in Budapest for people who does not want a quiet day or does not need to recover from the excesses of the night before. There are some special Hungarian traditions (such as eating lentils on 1 January will lead to wealth), and for many, it is the last day of the Christmas holiday before they return to work, therefore try to live this day as much as possible. 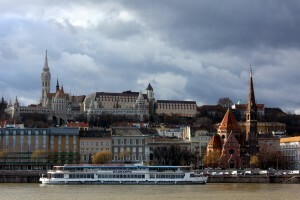 Welcome the New Year of 2019 on a wonderful NY Day Budapest River Cruise on the Danube with live music. Sightseeing, lunch cruises are available throughout the day and in the evening you can choose from a la carte, or buffet style dinner cruises most of them featuring live music. Make your New Year’s Day truly special! 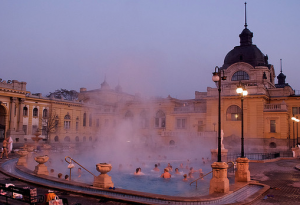 The main thermal baths of Budapest (Szechenyi Baths, Gellert Spa, Lukacs Baths, Rudas Baths and all their facilities are open from 10 am to 6 pm. Check-in for online reservations: 10 am – 6 pm. Please note that massage appointments and private baths are subject to availability as massage hours are limited. New Year’s Day is expected to be very busy in the Baths, so advance booking is highly recommended. Please note that the ticket & massage prices will possibly change from Jan 8. New Years’s Day Gala Concert in Budapest Danube Palace, performed by the Danube Symphony Orchestra on 1st January, 2018 from 8.00 pm. You can also book tickets with a 10pm Late Night Dinner Cruise included after the Gala Concert. 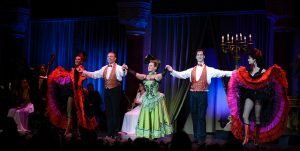 The audience will be greeted by the entire company of the Hungarian State Opera with a New Year’s Gala at the Erkel Theater with poetry, ballet and classical music. The greeting will also go out to Hungarians living abroad by way of Duna Television. 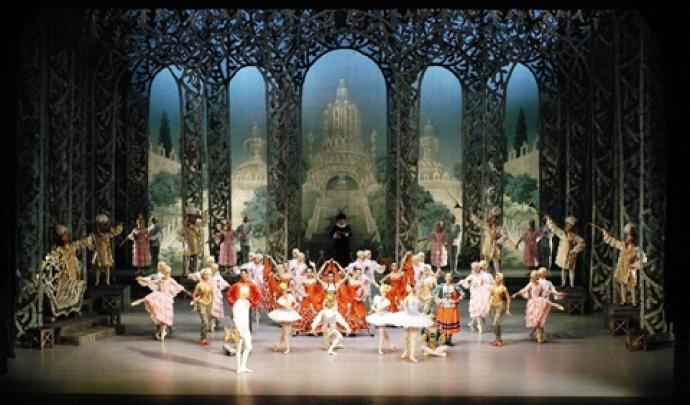 The young students of the Ballet Institute of the Opera will also step out on the stage for the first time. Joseph Haydn’s The Creation in Palace of Arts Budapest proclaims the greatness and incredible richness of earthly existence delivered courtesy of a host of excellent performers and conducted by the world-renowned Adam Fischer. 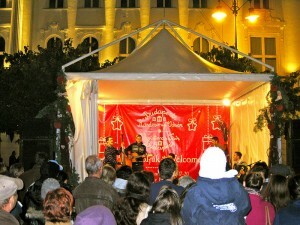 More concerts for the New Year on Budapest January Concerts. 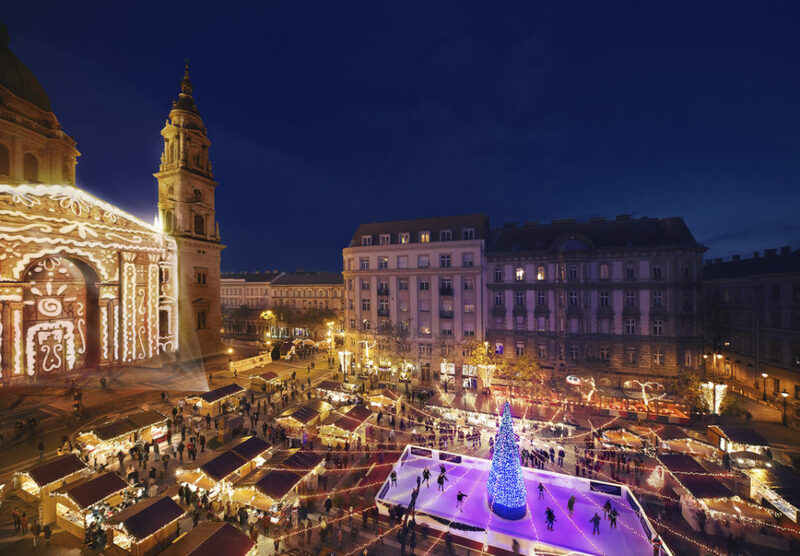 The Castle District in Budapest inevitably attracts tourists all year round, whether it is the first or the last day of the year The 2-hour-long Buda Castle Guided Walking Tour provodes a perfect opportunity to see some of the top tourist attractions. 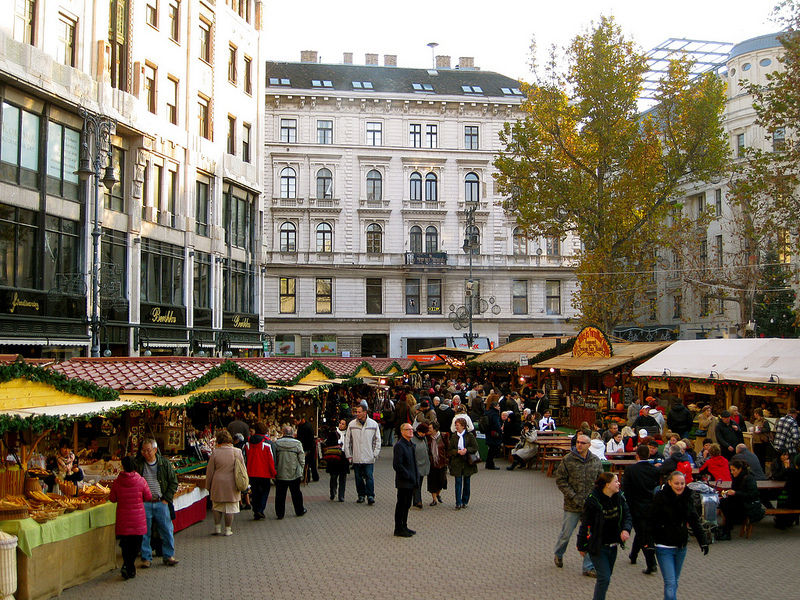 Come and visit Budapest’s Christmas Fairs if you want to buy something unique and original in either the heart of the city at the end of Vaci utca, right in front of the prestigious Gerbeaud Coffee House or by the magnificent Basilica Building, near Deak square. 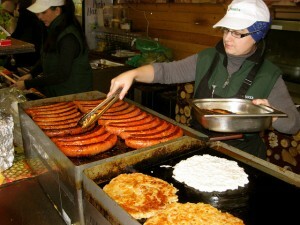 Smell the scent of traditional honey cookies, mulled wine, cinnamon, sausages and take the rich fragrant with you home. Opening hours on Jan 1: 11 am – 8 pm (food stalls and handicraft shops) with laser show every half an hour between 4.30 pm and 8 pm on the Basilica’s facade. Public transport services operate according to holiday/Sunday schedule on 01 January, with shops, most restaurants, cafes and other businesses, museums closed.